Do not hesitate to contact us at any time for further information. 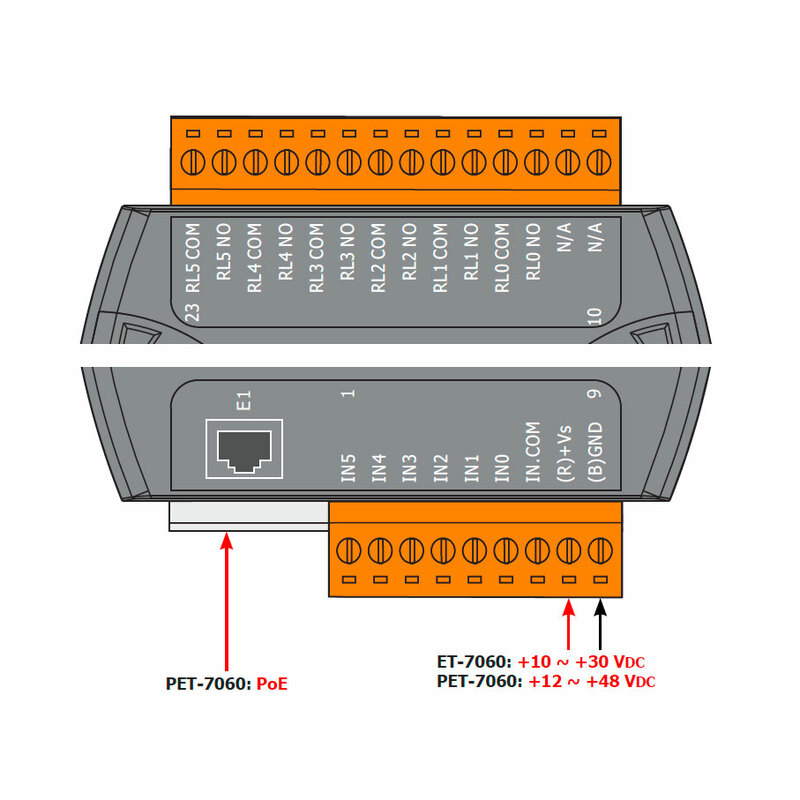 The ET-7060 provides 6 wet contact digital inputs and 6 form A electromechanical relays. 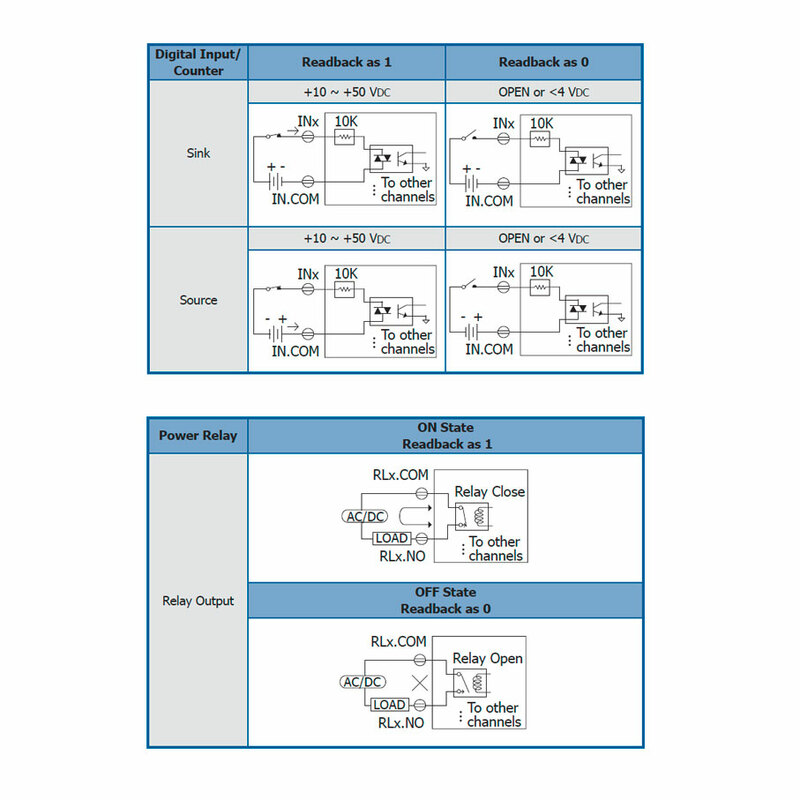 It features optical isolation for 3000 VDC of transient overvoltage protection and doesn’t have channel-to-channel isolation. Each input can be used as a 32-bit counter. 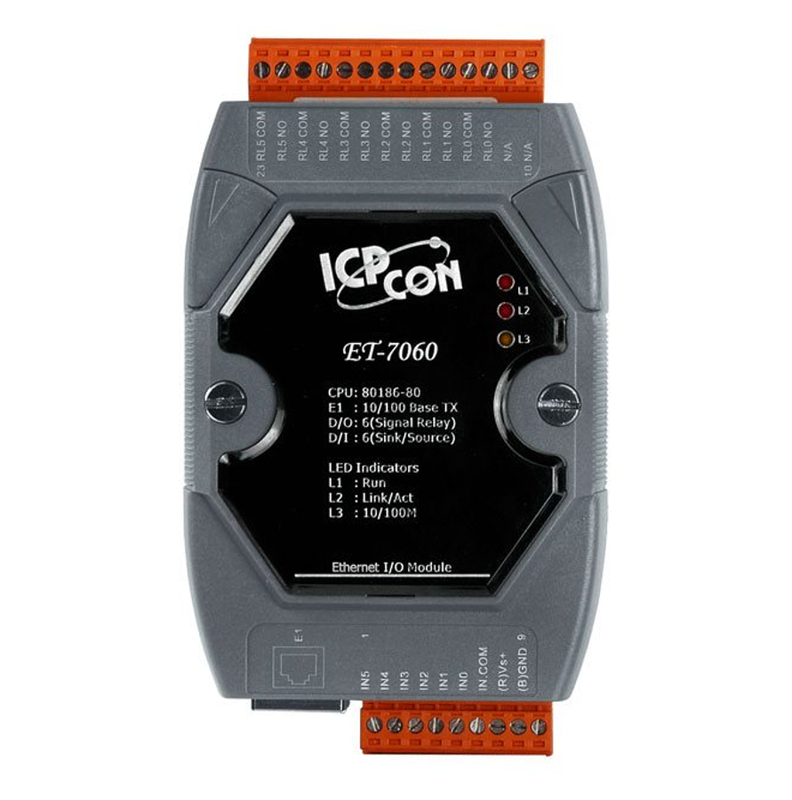 The power-on value and safe value of relay are programmable.